Highlighting a recent frontier in the field of oncology - the highly specialised and individually tailored care of the older adult - this text provides you with a comprehensive guide to caring for this ever-growing patient population. With this next text, you will gain a thorough understanding of general and site-specific care and treatment guidelines and plans. Topics include cancer and the aging population; research issues; physiology of aging; cancer screening; pharmacologic issues; nutritional care; symptom management of pain; sexuality; spiritual and palliative care; cancer survivorship; and more. You will also gain valuable information on a variety of cancers and their specific effect on older adults; including breast, colorectal, head and neck, lung, prostate, non-Hodgkin lymphoma, and hematologic malignancies and disorders. 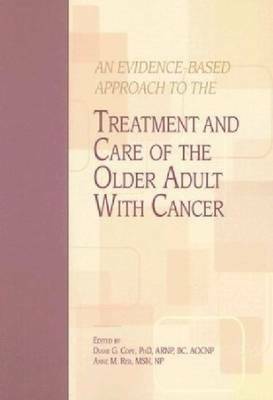 If you are caring for older adults with cancer, you should consider adding this new text to your nursing library!